Glasgow is a city well known for its food, so here’s our five favourite spots to get lunch. Don’t worry, they’re all walking distance from your lectures! What to expect: A humble café, with low lights and quick bites, Smug offers some delicious breakfasts and lunches in the West End. The café offers an extensive range of hot drinks from our favourite coffees to their own unique ‘fog’ drinks. Where is it: Find Smug caught between the QMU and Byres Road, just at the foot of Great George Street next to M&S. Cost: Smug is very reasonably priced, with some great student deals such as only £2 for a takeaway hot drink, or £5 for a hot drink and a panini with your student card. Personal favourite: Pastrami bagel, with a flat white. What to expect: A cosy café offering a variety of coffees, sandwiches, and homemade soups. Where is it: Nestled under flats on Kersland Street, just off Great Western Road. Personal favourite: Moroccan spiced cauliflower soup with a baguette, and a peppermint tea. 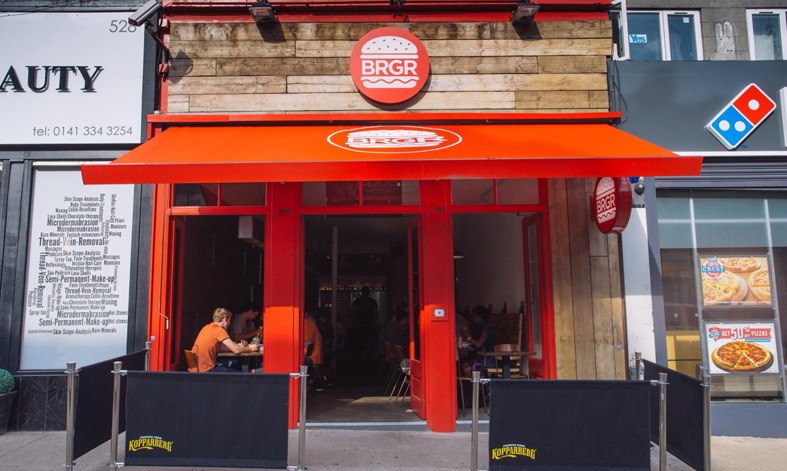 What to expect: One of the best value restaurants in the West End, BRGR serves high quality food from burgers to mac & cheese to chilli cheese fries with well-well priced beers and ciders. Where is it: Great Western Road, near Viper and across the road from Coopers. Cost: Burgers from as low as £4, Beers for £3, and thick delicious milkshakes for only £3. Personal favourite: Hot Coo burger with rosemary salt & parmesan fries, and a bottle of corona. What to expect: Another place known for its brilliant deals, Café GoGo offers food from full fry ups to mac and cheese served in a bread bowl, to lovely pastries and buns. Where is it: located on the quaint Cresswell Lane. Personal favourite: chilli nachos with raspberry iced tea. What to expect: The best food for the best prices in all of Glasgow – QMU has so much to offer from the delicious bar bites in the sleek and cool Scran, to the exactly-what-you-need-after-uni meals from Food Factory which will fill you up for the whole day. Where is it: Scran and Food Factory are both situated on the third floor of the QMU, with Café 22 on the ground floor. Cost: only £4-£4.50 for a great hot meal in Food Factory, or delicious bar bites and burgers in Scran for under £5. Personal favourite: Scotch pie, chips, and beans.